“If you do not have an outlet passage of Colombia, you can not travel”, said John Kinch, the manager of Avianca offices Airport in Panama City, when there were only a few hours to board the plane. The Darien Gap is a jungle area between Panama and Colombia, and serves as a natural barrier between Central and South America, especially for the USA interests, who doesnt want an easy connection to the mainland to avoid increasing immigration problem. Because there does not exist now a connection between Panama and Colombia, the only option to cross the Darien Gap is by air or by sea. And there are still 3 alternatives by sea, but in my case none convinced me. Sailboats charge 500 USD, cargo ships can take 10, 15 or even 20 days, and speedboats for those traveling by bicycle, it is not a good option. All cargo travels on the bow and only up to Puerto Obaldia, which are 8-hour journey, the boat hits, hits and knocks. Big waves wet all and everyone and added to the strong winds in the rainy season, the journey, according to other travelers is martyrdom. In a fit of anger and still helplessness I bought two tickets to Argentina for $ 1,500. Upon arrival to Colombia nobody ask us for the return ticket and told us that this is not an entry requirement. To confirm this we went to the central immigration office, located at the airport and spoke with the officer Migration: Carlos Eslava, who confirmed that to enter Colombia does not specify a passage out of the country, much less if you are South American and traveling by bicycle. At that time it came to my mind the words of Raifed, the Iraqi guy I met in Bahrain that told me about Iraq: The logic of power, is not the power of logic. Once in Cartagena, I ordered the reinstatement of the passage I would never use, and filled a written complaint at the offices of Avianca and Civil Aeronautics of Colombia. Weeks later Avianca justified, while the civil Aeronautica ask me for evidence. Upon arrival to Cartagena we rented a room for a month. 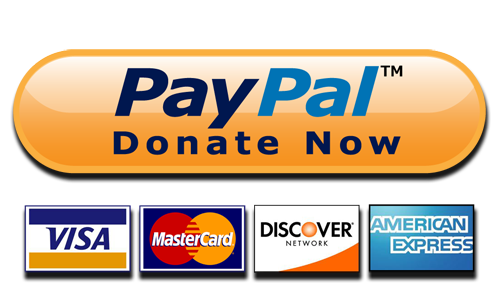 The mid year school vacación was near and so we thought a stop on that date would help to sell and raise money. Also the football World Cup was taking place and was the fourth I lived during my trip , so I was convinced that Colombia was a good country to watch it. Much better than in Malawi, Turkey and China where I missed most of the matches. I must admit that Colombians are as passionate about football as the Brazilians, and therefore (only on this matter) a little unbearable. I felt that as it happens in Brazil with TV Globo, the Caracol television, raises the team so high, that the TV audience believed they are the best and the team will be champion. After the Colombian elimination against Brazil, the comments were almost unanimous: “It was a robbery”, when in fact in that game Colombia did not play the game like he was doing and did not lost because of the referee as it was stated, but by merit of his rival. Even his own technical coach put it this way. But the most dramatic thing was that each victory of the Colombian Team was accompanied only in Bogotá, by a dozen deaths. During 1 month Juan and I stayed at old town of Cartagena, in the Balcones de San Agustin hotel, which at that time hosted 20 guests although this old building has only one shared bathroom. With the seriousness of a work, each evening I down the 3 floors of stairs, with my bike and all the luggage, with the sole purpose of expose my trip and sell the documentary. So did Juan with its silver jewelry. The city was a carnival, there were hundreds of vendors everywhere and many travelers freely sell their merchandises to keep traveling. The police did not dismiss the vendors, there is no municipal control and the Colombian seller is more gentle than in many other places. “Everyone has the right to work”, said a seller I asked about it when I got to town. I continued my journey alone, from Cartagena, to Venezuela, boarding the Colombian Caribbean. With a strong headwind I arrived to cities like Barranquilla, Santa Marta and Rio Hacha, where I was always very well received by locals. I also visited the Tayrona National Park, which is characterized by its tropical landscape with white sand beaches, blue sea, coral reefs, mangroves and lagoons. Next to Tayrona Park there is the highest coastal mountain formation of the world, which rises abruptly from the coast of the Caribbean Sea to a height of 5700 meters in just 40 kilometers. The Sierra Nevada is home to four indigenous communities that preserve their culture almost intact and speak their traditional languages: the Wiwa, Kogi, the Kankuamo and Arhuacos. Together, they are more than 30,000 people. During my time to Santa Marta I visited the Indian Communication Center, where I exposed my trip around the world and my interest in knowing the Arhuaco indigenous group, who are known to possess great wisdom and mystical understanding. On my way to Venezuela, I stopped at Perico Aguado, a small town in the lowlands where theres is an indian reservation that occasionally is used for meetings of the Mamos, spiritual leaders. To get there I had to hire a moto-taxi for a while and I was guided between farms and plantations of bananas. Upon my arrival I was greeted by the Mamo Camilo and Eliecer, who officiated as the translator. 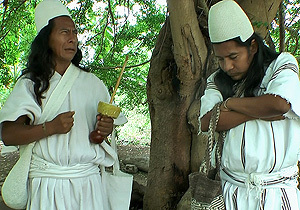 Both of medium height, black straigth hair waist-length, dark eyes, good cheekbones and brown smooth skin; wearing clothes spotless white and a conical hat; in their hands the poporo, a hollowed gourd where they stored crushed snails used for chewing coca leaves. For a while we talked about my trip, sitting on logs under a tree, with my bike next. I told them about the time traveling, tours and places and the various communities visited. Late in the afternoon, the Mamo Camilo offered me to stay until the weekend, when Mamos from all over the zone arrive to discuss their current problems. So I settled into the house of Eliecer, and his brother Ulysses. “The Mamos are chosen between different candidates from 8-10 years of age”, Eliecer explained me. “At the top of the mountain, these young people are preparing for 10 or 15 years, where they learn about the natural and spiritual world. The Mamos are intellectual people and officiate as priests, doctors and counselors. Its influence is decisive in the life of every person and the society”. During the first night to talking to Eliecer I thought he was an Indian as lots I had already met along my trip. Usually they are shy people, of few words, disinterested and with a poor school education. But with the passage of days, I realized that this degree in Business Administration, is not only the translator, or who makes written for the interests of the community, but a good delegate who always accompanies the mamo Camilo to solve the conflicts of their community. The big event day, around noon the Mamos began arriving, and placed under the big tree, as if it were a convention center. Each one carried a bag of coca leaves and its poporo. When greeting each other exchanged a handful of coca leaves as a sign of mutual respect. The meeting was presided over Camilo Mamo, who earlier sat and talk to me. 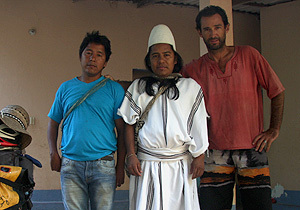 “Traditionally Arhuacos have been a peaceful people who have always inhabited the high, médium and low lands of the Sierra Nevada, The economic activity was agriculture, mainly for subsistence. Originally each family owned a plot in cold ground, another at medium and one more at hot weather but due to colonization and expansion of private property, the Indians have lost the lowlands and this has caused deforestation in the region. According to our knowledge, when there are storms, drought and hunger in the world is due to human fault for not maintaining harmony on the planet. The balance of humanity is not only in respect for other human beings but to nature. This balance is achieved by making offerings to the holy places to return to the land all that has been obtained from it. That is the responsibility of a mamo, to maintain the natural order of the world through meditation and rituals”. As Eliecer explained to me, in recent decades the indigenous groups of the Sierra Nevada are organized into a political movement to defend their rights and assess the development of various infrastructure projects, such as building dams, hydroelectric plants and mining. At that meeting, the Mamos debated on improving cocoa crops, the expansion of the road passing through indigenous territory and how to recover ancient treasures looted that today are exposed at a museum in Germany. “In these meetings we talk, talk and talk, and unfortunately is very little we can get”, he, who had become my friend, confessed almost resigned. 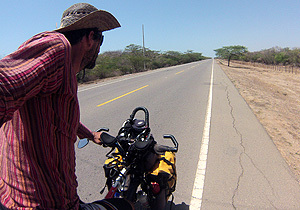 On my way to the border I entered the state of Guajira, the poorest state of Colombia. A dry, arid and very warm place. According to the National Administrative Department of Statistics (DANE) 85% of the population lives in poverty. Most people do not have piped water. There has never been potable water. Water for drinking, cooking, washing clothes, bathing and feeding the goats, the obtained from rainfall or the river. They told me that for more than two years it has not rained and the river is completely dry. Arriving in Rio Hacha I met with a lock and a Bus newly burned. About 200 people blocked the main road and kept isolated Riohacha with Maicao and Venezuela. The police faced them. The protest is the water crisis suffering for months, child malnutrition and death of several children. Later I sit down to lunch, and I read in a newspaper: “The incoming Interior Minister Juan Fernando Cristo assures that the government is looking for solutions to the crisis of La Guajira, but argues that the Government must respect local autonomy”. And at dinner, a news report: “In the last five years 4,700 children died of malnutrition in the state of Guajira”. 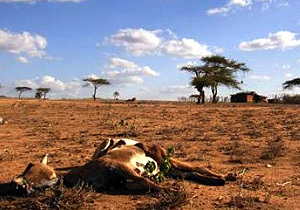 Meanwhile the Colombian Agricultural Institute reports that the lack of water has killed more than 20,000 head of cattle. Siento que se lleva unas impresiones de una parte de nuestro territorio. Hay lugares difíciles, hostiles, mágicos, naturales, desarrollados y un mediano etc. En nuestro pais podemos tener lugares de primer, segundo, tercero y mas mundos. Y tal vez como en vuestro pais tardaría muchos años o toda la vida en recorrerlo todo y comprenderlo. Asi es que en vuestro recorrido por el mundo tal vez no llegue a conocerlo todo, pero la impresión que te llevas es por donde lo recorres. Y mucha mejor impresión que alguien tendría sin pisar el suelo de “x” pais ni siquiera un día. Todos quisiéramos que se llevara la mejor impresión de cada pais, mas si es donde uno nació. Lamento las incomodidades y los momentos dificiles, celebro los hermosos. Quisera que todo el mundo se transformara en un mejor lugar cada dia, cada hora, cada mes. Para que pudiéramos conocerlo en paz y amor, descubriendo lo mejor de sus gentes y de su cultura. Vuestro aporte en un grandísimo grano de arena en favor de esa reconciliación mundial que todos buscamos, sanando corazones, comunidades y territorios. Sueño que en nuestro pais Colombia pronto llegue ese amanecer: la paz, y que una vez cimentada podamos ayudar a decenas de pueblos que aun viven conflictos internos como el nuestro.